This kit also fits E55k? Great stuff but I know aluminum parts corrode. How does the seal and filter react to the ethanol? It is known that RAW aluminium does react with Ethanol, but only Ethanol with significant water content... keep in mind that your fuel tank system is a SEALED system... and your check engine light would be on with a leak anywhere as small as about .015" (a hole with about the thickness of a playing card). So if you are using tanks of fuel and not having it sit for months, you will not be giving the fuel an opportunity to absorb any water. if you keep opened containers of Ethanol lying around to fill up with, you may run into a corrosion issue. That being said, with today's materials being made Ethanol safe, and even the W204 vehicles that have been FULL FlexFuel, you be be confident that your fuel system will be OK. Now if you were going to let it sit for say, 3 or more months? I'd run the tank out, and fill it with some fresh 93/91 and fuel stabilizer. There IS a kit in the works for the M113k engines, we are making 604whp/658wtq on stock blower, heads, cams, no nitrous, and 70% Ethanol etc. There are some extra requirements for these cars however, so there isn't a kit available yet... but I have Fuel Tank Lids in the works, new fuel line info, fuel pressure regulator info, pump stuff, etc... we will keep you posted! Great question and thanks a lot! Every engine is a little different, but if you're into power, this is for you... 25+ whp is there for the taking on the M156... the more power you have - the more power you will pick up! So just to confirm with this kit i can run E85 and then switch it up with 91 octane or a mixture of it at any time on the fly without messing with changing tunes or maps? How long is the launch pricing offered for? If you want to keep your stock injectors you just don't get the 350 core back correct? Stop making me want to spend money! When I get back home next week I will check on the availability of e85 in my area. I would hate to get this an not be able to use it. This is definitely an exciting time for the M156 C63. 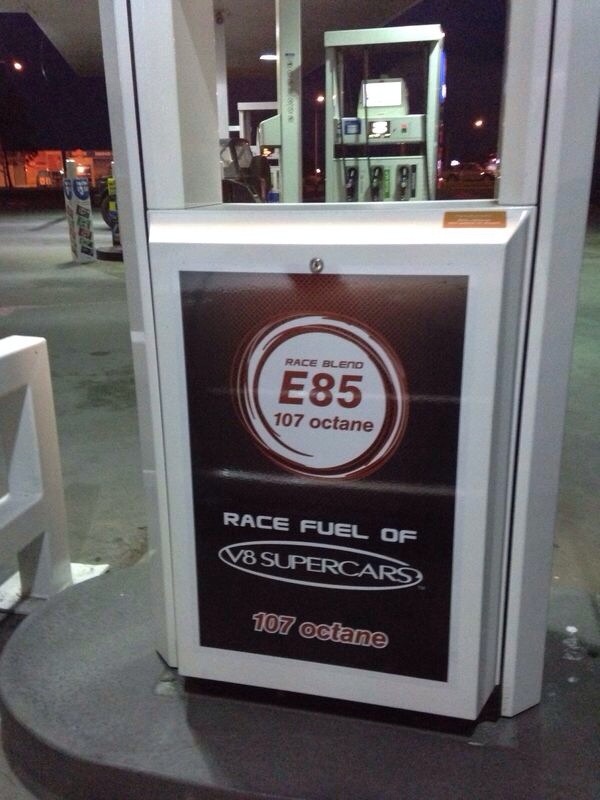 I used to run E85 in my Evo and loved the extra power from the corn juice. The dowsnside are the more frequent trips to the pump, and having to bring jugs of E85 to the track that doesn't have an E85 pump close by. If I was out of warranty, I'd be all over this deal! If he can take off the airbox, he can do the install I will be posting a video shortly of how it all goes. So easy to take off the car! You never have to worry about warranty... prolly take it off in about an hour... injectors are stock bodies too! GasBuddy app! It's like pure gold! You'll love it so much! I see you're from the UK - what's the Ethanol/E85 availability situation over there? But honestly... It's like this - if any of y'all run race gas... MS109, VP Import, etc... you're spending boatloads on the precious 5 gallon pails of it... Ethanol is far cheaper, with all the benefits and MORE! Last edited by chrisridebike8; 01-26-2017 at 11:06 PM. If he can take off the airbox, he can do the install I will be posting a video shortly of how it all goes. Get the GasBuddy app Thanks a lot! Just checked gas buddy and spoke to my mechanic. He highly recommends it and he is able to do the install but all the gas stations are far from me. At least a 20 minute drive and in places I never pass. How long is this offer available for? How long until you release something for weistec stage 3 charged cars?